/Which Home Automation Platform Do I Start With? Which Home Automation Platform Do I Start With? Below is a comparison of the current major players in the home automation world. Since this is just getting competitive now the prices are still somewhat high. Prices will drop with the more entrants into this game. Ideally you have a box that isn’t dependant on a server but if price is an issue than you can try a different route (such as a USB stick or Tasker). Things to look for: Open API’s, Apps, Plugins, Z-wave, Wifi, Zigbee, Google Now or HomeKit Integration (iOS), Android Wear and iOS ‘Watch’ apps. Technologies: Z-wave is the technology you should be looking for as it has the biggest product catalog support and it’s extremely secure. BLE may be the future but right now the current future isn’t as developed as it should be. Zigbee is great but you are limited in the type of products you can purchase. WiFi only hubs such as a Tab 3 can be used to control your Philips Hue lights but there are far more Z-wave products to purchase. There has been a lot of changes in the past year and the items below reflect the changes. Above is V1 and the price is very low to reflect the older technology inside. It’s a great start if you’re looking for something cheap to get into the smart home technology. Need to open app and ‘clunk’ around to turn things on. 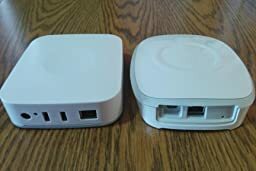 Version two of the Smartthings hub have added bluetooth, an battery as a backup incase the power goes out, better processor and more RAM. It improves the speed of actions and provides a more reliable connection to your smart home. It also supports more video cameras (not just DropCam). We replace the VeraLite with the Vera Edge as it is a newer model with possible device connections (can connect up to 220 devices), more video camera controllers, latest gen technology. We purchased this model and had some issues but their support team quickly rectified the issue and got it working. Why not the new Smart Hub PRO and a HomeKit Solution? HomeKit isn’t ready yet for home automation; everything on your network has to be HomeKit compatible for Siri to see it. I wouldn’t recommend it yet and there are far better solutions (see Beecon voice technology) to control your system from your voice. This model allows for all Aeon gen 5 products like their new LED’s. It will hopefully provide a more reliable connection than their Series 2 stick as well. Can use Philips Hue (lights), Lockitron, or any other BLE connected device and skip the Z-Wave system products. Spotty Z-Wave Support for all devices. Click the above link and browse through the reviews. They aren’t all pretty. The Wink Connected hub that controls BLE, WiFi, Z-Wave, ZigBee is clearly the one that has the greatest potential. They just need to improve their firmware to work with all devices.